When you go into a salon for a new ‘do, it’s always good to be prepared and knowledgeable on proper hair terminology. There’s nothing worse than asking for a certain haircut and ending up with something completely different than what you envisioned! Read more to see which hair terms you should know to better communicate with your stylist, and get the perfect haircut you desire. Layers – Hair can be layered, one length, or both. Layers help lessen the density of the hair and create movement. One-length cuts on the other hand create weight. 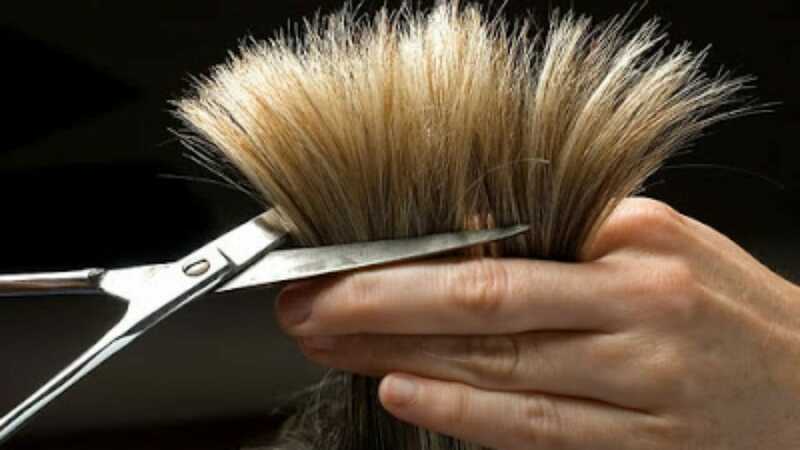 Overdirecting – A cutting technique where hair is lifted and cut above the head to create extra body and volume. The end result is a bunch of exaggerated layers, similar to a “rockstar” haircut. Thinning – A method used to eliminate bulkiness and create super fine layers with added dimensions. Cutting line – The line that stylists determine for a particular hairstyle, its angle corresponding with how close or far apart the layers will look. When a stylist wants to create a layered look, a vertical cutting line will be followed. Weight line – The area in a cut that holds the most weight of the hair. If your weight line is too heavy, you can ask your stylist to blend it in with thinning shears. Point cutting can also be utilized – this means that the ends of the hair are cut at an angle for a more textured/feathered look. Graduated hair – This type of cut involves layers and cutting the hair at an angle of less than 90 degrees. Due to this cutting technique, there is more control for stylists to shape the desired outline of a cut. Wedge haircut – The hair is cut at a 45 degree angle rather than a 90 degree angle. The hair at the nape of the neck is cut the shortest, with layers radiating out as they reach the crown of the head. The ends are cut at multiple angles (rather than straight) to boost volume and movement. Blunt cut – The hair is cut at an angle of 0 degrees, making each strand fall at one length. Often known as bob cuts, blunt cuts are best suited for women with finer hair to increase the appearance of volume and density. Choppy – A cut with short layers, typically for bob or shoulder length styles. Gamine – Known as a “boyishly short and sassy” hairstyle – Audrey Hepburn’s hair is a prime example of this. Gamine styles can also include the pixie cut. We hope that we were able to shed some light onto these must-know hair terms! Until next time, beauty queens.